mommy's reviews: Enter to win Zippies! My Munoz Family is hosting a giveaway that ends tomorrow and there will be three winners! 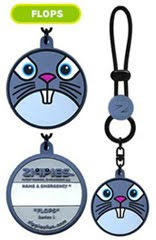 Enter to win these super cute "Zippies"! Great for labeling water bottles and gear! Click HERE to enter this giveaway!